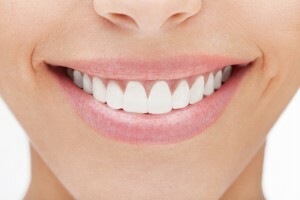 We offer various types of teeth whitening services. We can help you obtain the white smile you’ve always wanted! In-office whitening treatment: We apply Zoom® Advanced Power Whitening solution to your teeth and then use a special light for the purpose of activating the solution. This whitening process takes barely any time at all—just a little over an hour! This is a great option for patients who are looking for the fastest results. Take-home whitening treatment: We also offer take-home whitening trays that are customized to fit your teeth. Applying the whitening solutions to the trays is simple. You will need to wear the trays for a minimum of two hours each day. It takes 2 to 3 weeks to create a whiter smile using this process. Non-vital bleaching treatment: Our non-vital bleaching method is used on specific teeth using have darkened (such as after a root canal procedure). We perform this treatment by soaking a piece of cotton with the whitening solution and then placing the cotton inside the tooth, which causes it to whiten.